There’s really nothing quite as thrilling as spotting a whale or dolphin from the open deck of a cruise ship. It’s a free aspect of ocean travel that always fills us with great excitement, along with the desire to continue surveying the water to see what else we can spot. Catching a glimpse of marine life and sea birds is always a wonderful aspect of any voyage, but when you’re joined onboard by experts who know exactly what it is you are desperately trying to capture on camera, the experience is elevated even further. And it’s one that happens frequently on board Saga ships, thanks to their partnership with the ORCA charity and their team of marine mammal surveyors. 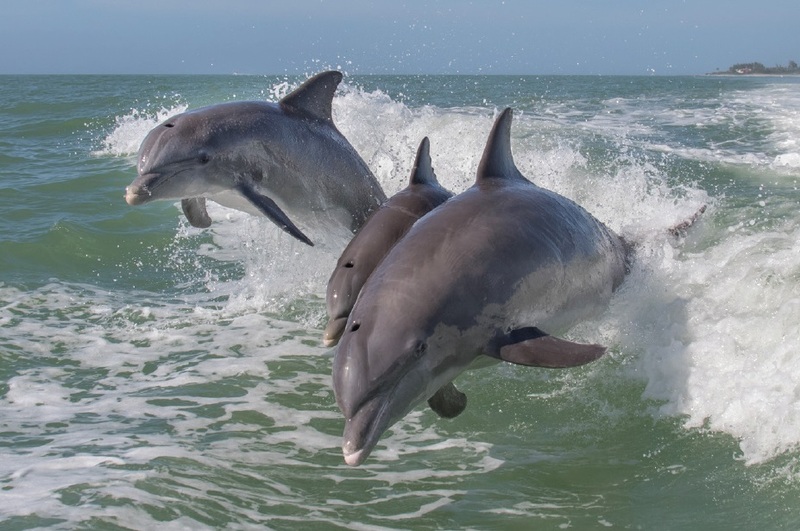 ORCA, founded in 2001, is a UK whale and dolphin conservation charity dedicated to the long-term protection of whales, dolphins and porpoises in UK and European waters. Working with research institutions, governments and other conservation charities, ORCA’s aim is to create safer places for cetaceans and ultimately promote the health and well-being of the wider marine ecosystem. Impressively, the charity’s projects reach over 40,000 people each year, of all ages, both on and offshore. ORCA also work closely with the bridge crew aboard the ships they accompany in order to provide advice on reducing whale strikes. ORCA has been working in partnership with Saga since 2007 and in May 2017, a team of marine mammal surveyors embarked on a 20th anniversary cruise aboard Saga Pearl. During that sailing, the team spotted nine species of cetaceans, consisting of 2,565 individual animals. They also saw turtle, shark and ﬁsh species which brought the total number of marine animals seen on the cruise to 2,592. 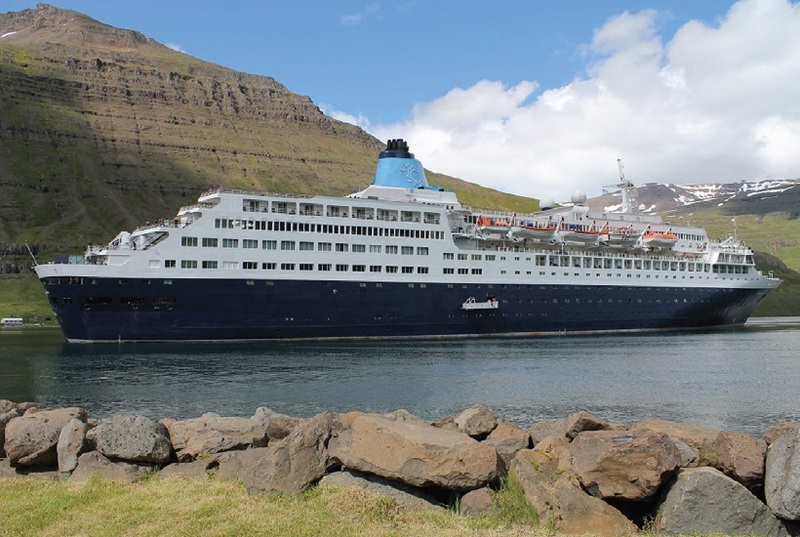 I have sailed on several Saga cruises that have been accompanied by ORCA marine mammal surveyors, but none has been quite as satisfying as a recent Icelandic itinerary aboard Saga Sapphire. Sightings were aplenty and the team made daily updates on a large board that took prime position right in the centre of the ship’s Drawing Room. Although not all passengers spotted everything that the ORCA team did, it was nice to see the daily additions of marine life and birds that had been observed by the team. Some guests were lucky enough, however, to get a front row seat to one of the best sightings of the entire cruise and this was during a whale watching excursion from the port of Akureyri. There were humpback whales throughout the fjord and they were very playful. Saga passengers and the ORCA team also had the pleasure of witnessing not one, but three breaches, lots of ﬁ n waving, spy hopping and rolling. There were four members of the ORCA team on board during Saga Sapphire’s 15-night Iceland cruise: Trudy Russell, Christine Jones, Chantelle Barry and Kathleen Neri. They were out on Deck 12, morning, noon and night, but I did manage to sit down brieﬂy with Chantelle, the youngest member of the team, and ﬁnd out about some of her experiences she became an ORCA surveyor in 2013. One of highlights was a ferry crossing of the Bay of Biscay in 2014. Sea and weather conditions were less than ideal – there was a rolling fog that persistently dimmed how far the eye could see – but suddenly, out of nowhere, a dorsal ﬁn appeared and broke the surface of the water. She had spotted three killer whales (orcas) which are not usually seen in the waters off Bilbao. I also asked Chantelle about her time on Saga Sapphire and what had been the biggest highlight of sightings for her. When Sapphire left Icelandic shores, she spent the ﬁrst sea day sailing through the North Atlantic and towards the port of Belfast. It was on this day that Chantelle and the team spotted beaked whales – highly unusual because they are deep-diving mammals and rarely sighted on the surface. She said it was a huge thrill for everyone on deck and they were absolutely convinced that the day wouldn’t get any better, but it did. Soon after, a small pod of pilot whales also made an appearance. They were so close to the ship that passengers had spotted them from the Pole to Pole restaurant during lunch. The ORCA team offer a report on sightings at the end of every voyage and on Saga Sapphire’s ‘Land of Fire and Ice’ sailing, the team noted 417 individual marine mammals with 15 different species being positively identiﬁed. These included minke whale, humpback whale, harbour porpoise, northern bottlenose whale, Risso’s dolphin, ﬁn whale, sperm whale, grey seal and long-ﬁnned pilot whale. A curious little Arctic fox was also spotted ashore along with pufﬁns, Arctic tern, common scooter and Slavonian grebe. All passengers are welcome to accompany the ORCA team out on the open decks on sea days. In most cases, ORCA’s surveyors can easily identify the different species and give accurate information on their migration periods, the food they eat and where in the world they are most commonly found. It’s incredibly interesting and a wonderful way to spend your day at sea. For guests interested in knowing more about the world’s fascinating marine life, but not quite as excited about standing outside all day looking for them, they can attend lectures throughout the voyage. 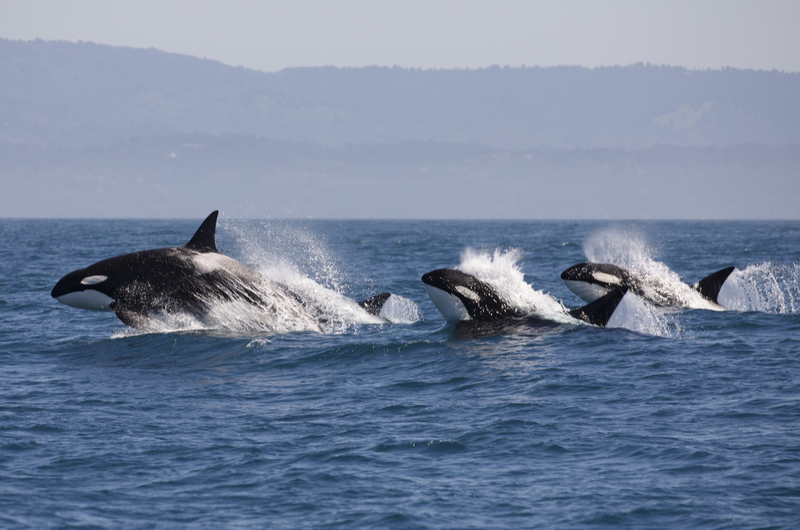 These are hosted by various ORCA team members and offer the chance to learn about the species that are usually spotted in the region in which they are sailing. The ORCA team also advise on how you can make a difference and contribute to the safety of vulnerable whale, dolphin and porpoise species that are not protected by international conventions.